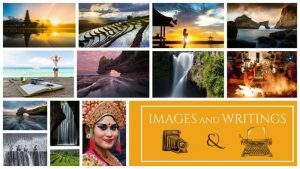 Bali (Indonesia) – July 12, 2018 (travelindex.com) – For photographers who want to improve their photography and writing skills; and writers who want to improve their writing and photography skills. Enigmatic Bali is an international travel destination that has long mesmerized curious visitors from abroad, including writers and photographers from around the globe over the last century. Now there is the opportunity to take part in a unique, exclusive, fully escorted, supported and guided tour for photographers and writers, visiting the best landscapes and seascapes in Bali, with knowledgeable local guides and a professional photographer and professional writer taking you to the most photogenic and storied places in Bali, newly scouted locations and vantage points, iconic places and off-the beaten-track destinations including long sandy beaches, deep hidden waterfalls, ancient seaside and lakeside temples, stunning sunrises over volcanoes, World Heritage-listed rice terraces, and local markets, with expert tuition and guidance. The tour is scheduled to allow participants to take part in the Ubud Writers & Readers Festival 24-28 October which starts at the conclusion of the tour, an event which attracts over 150 writers, artists, and thinkers from around the world (extra). Highlights: sunrise in Sanur, sunset at Tanah Lot, iconic Ulun Danu Bratan at first light, jungle waterfalls, rice terraces and volcanoes, ancient temples with traditional ceremonies and colourful performances, local markets, rural Balinese life and some quirky secret locations. Writing mentor: Keith Lyons – an award-winning New Zealand writer, author and creative writing teacher, based each winter in Bali.